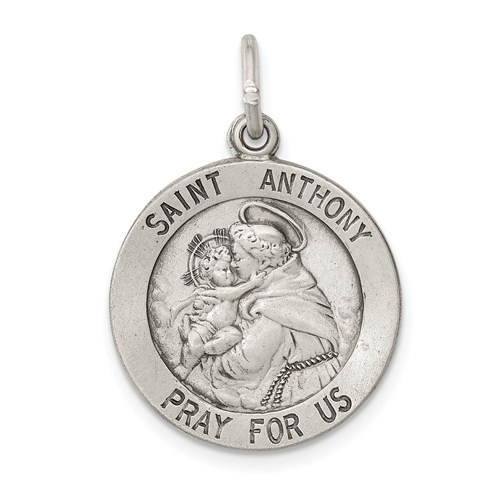 Round St Anthony medal is made of antiqued sterling silver. Dimensions: 3/4in x 3/4in wide without bail. This item is slightly smaller than a penny. St Anthony is the patron saint of lost and found and the poor. The piece that I purchased was exactly what I expected after looking at the website. Love it! Wear it as a bracelet charm. Worn as a charm on a bracelet daily, layered with other bracelets. I was very pleased with my purchase. Thank you!